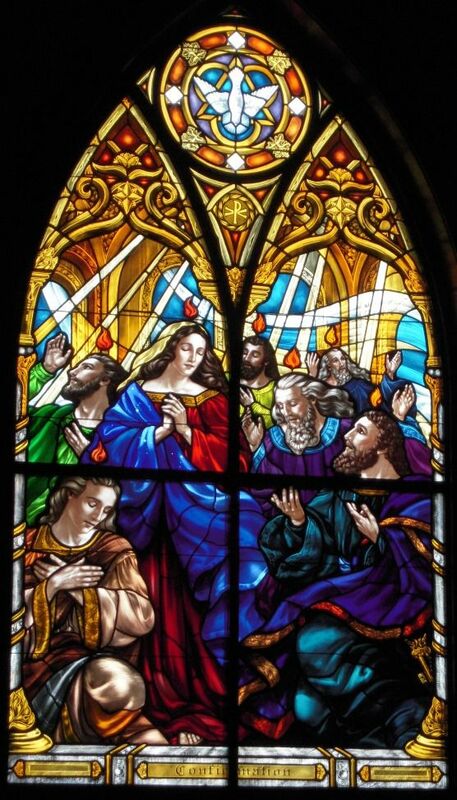 On Tuesday, we will continue our celebration of the great feast of Pentecost in the Extraordinary Form of the Roman Liturgy. Ant. Receive the delight of your glory, alleluia; giving thanks to God, alleluia, who has called you to the heavenly Kingdom, alleluia, alleluia, alleluia. V. Attend, O My people, to My law; incline your ears to the words of My mouth. Ant. The Lord has opened the gates of heaven, and rained down manna upon them to eat; He gave them the bread of heaven, and man has eaten the bread of angels, alleluia. Ant. The Spirit who proceeds from the Father, alleluia, shall glorify me, alleluia, alleluia.